Imaging service hours are subject to change due to client demand. 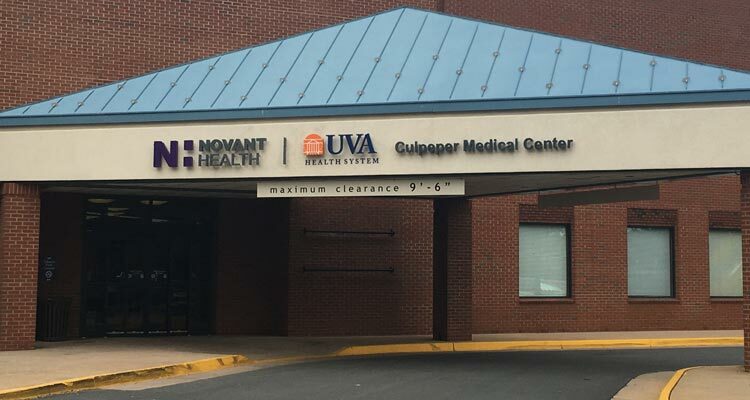 Our brand new outpatient imaging center, Novant Health UVA Health System Imaging Centreville, is located near Sweetwater Tavern on Multiplex Drive behind Cinemark Centreville 12 movie theatre. Our center is conveniently positioned between I-66 and VA-28/Centreville Road providing easy access for both Fairfax County and Prince William County patients. We offer high quality imaging at affordable costs for all patients and place great importance on personalized patient care. Our welcoming staff and accommodating services allow our patients to receive excellent imaging in a timely manner so they can quickly follow up with their referring provider. We take pride in having subspecialty, fellowship-trained radiologists and highly skilled technologists who employ high-tech imaging techniques to ensure you receive the highest-quality imaging services. Services at this location include: wide-bore 3T MRI, 64 slice CT/CAT (with low dose radiation software), arthrogram, ultrasound, and x-ray. Our staff can diagnose a full range of conditions, helping put you back on a path to better health.